Mark Manson questions the idea of positive thinking and proposes dealing with harsh reality instead of pretending that everything is OK. Instead of making lemonade from lemons we should rather learn to stomach the sour fruit better and accept that it doesn't necessarily have to make us feel well. He also has a healthy distance to the concept that everyone has to achieve something significant and leave behind a legacy to be remembered by. Manson claims that there are simply too many things to worry (i.e. 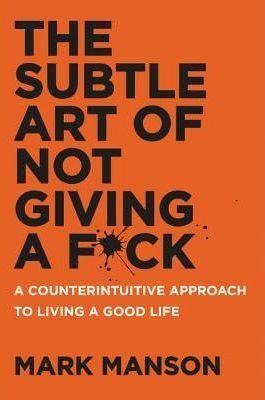 give a f*ck ) about and instead we should prioritize what is really important for us and focus on present experiences. He does it all using an informal language and while frequent use of vulgarism may be off-putting, there are a few ideas that I liked. Nothing life-changing but a decent read nonetheless.